Yesss, the holidays are coming and my favorite drugstore Etos is on top of it. They were kind enough to send me their new limited edition holiday collection, thank you! * I tried it and I was very impressed. 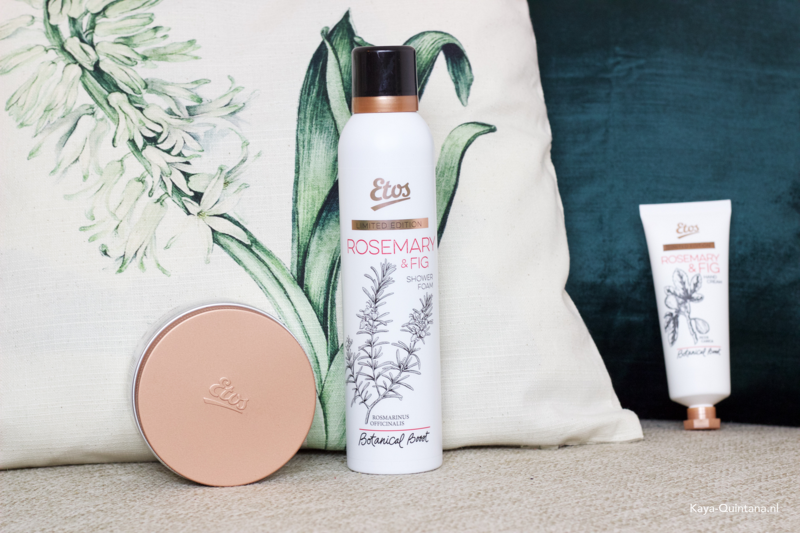 That’s why I am giving you a quick overview of the Etos Botanical boost Rosemary and Fig limited edition collection. In which you will find seven holiday worthy items with a Rosemary and Fig scent. Let’s start with the items I received. I was gifted a body cream, hand cream, shower foam, scented candle and bath fizzers. You can also add the massage oil and scented sticks, if you want to complete the collection. All items are infused with the Rosemary and Fig scent. Which I find warm, spicy and a little sweet. It’s not the type of scent I would normally go for, but I can see why they picked it for the holiday season. All products were developed with the help of the Hortus, one of the oldest botanical gardens in Europe. 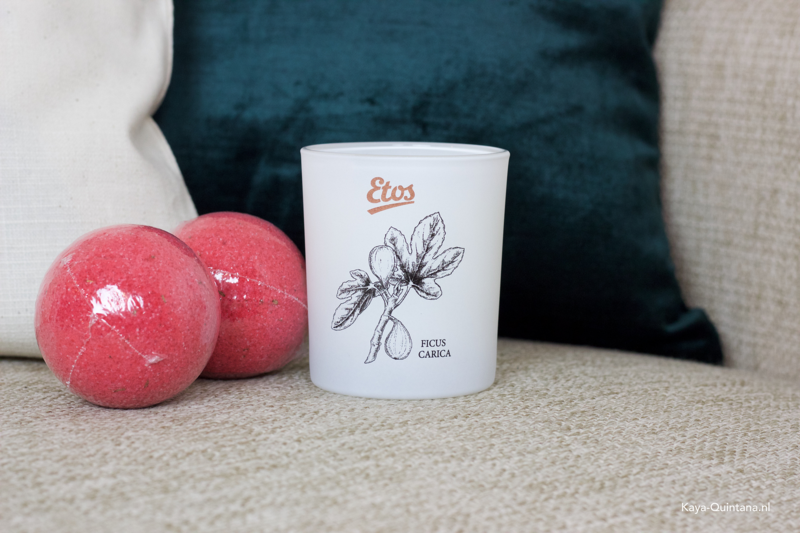 According to Etos, all of the products are infused with high quality plant extracts. They are supposed to help you take care of your dry skin, while smelling absolutely delicious. Just be careful when you have a fragrance and/or plant allergy, because I did notice a small reaction to some of the ingredients. I have to be honest and say I am not really into scents like these. I wouldn’t wear a Rosemary and Fig scent daily, but I can appreciate it for extra cold winter nights. I don’t have a bath and therefore, I could not test the bath fizzers. I’ll just assume they will be nice in your bathtub, haha! The scented candle looks pretty chic and is an item I would actually like to display in my house. The Etos logo is not too bold, so it will blend in perfectly with the rest of my interior. The scent itself is less heavy than I thought and I actually really like it! 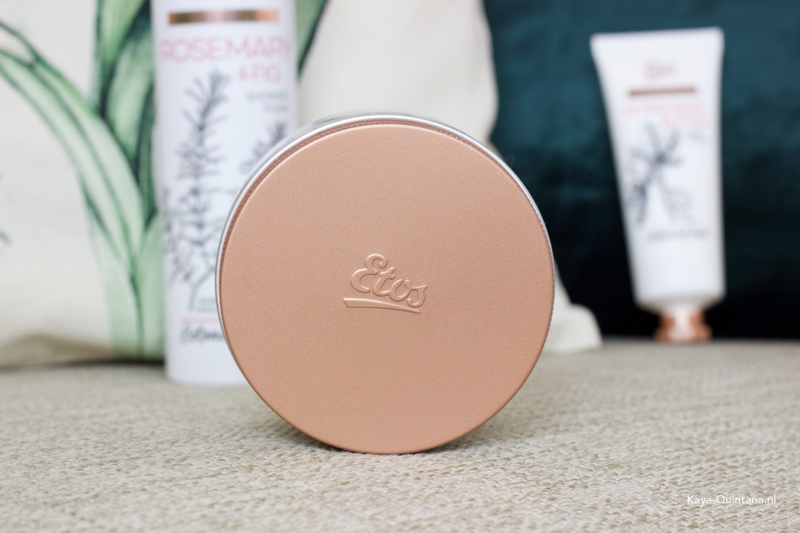 The Etos Botanical boost Rosemary and Fig limited edition collection is pretty good, if you ask me. All the items are pretty affordable. The hand cream costs €3,49 and could be the perfect small gift for a friend. The body cream, shower foam, bath fizzers and massage oil are priced at €4,99. 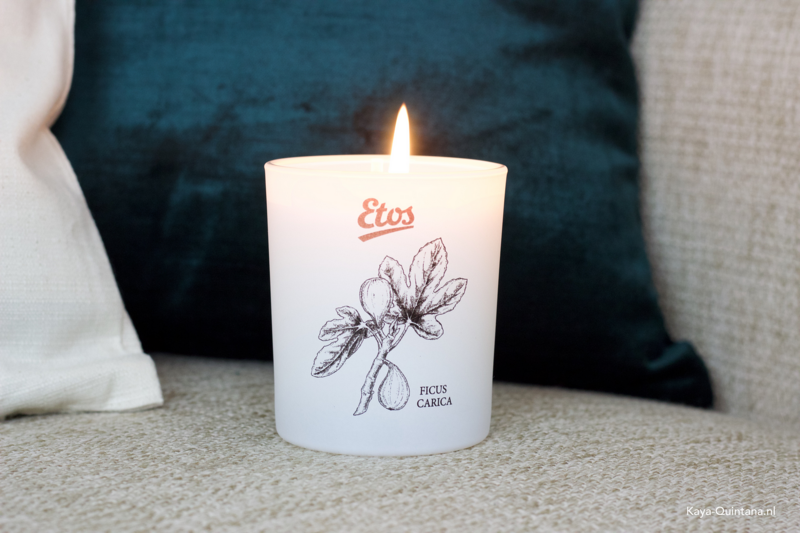 The scented candle will only set you back €6,99 and the scented sticks will cost you €7,99. The items are nicely priced and the designs are pretty chic, which makes them perfect for small gifts. 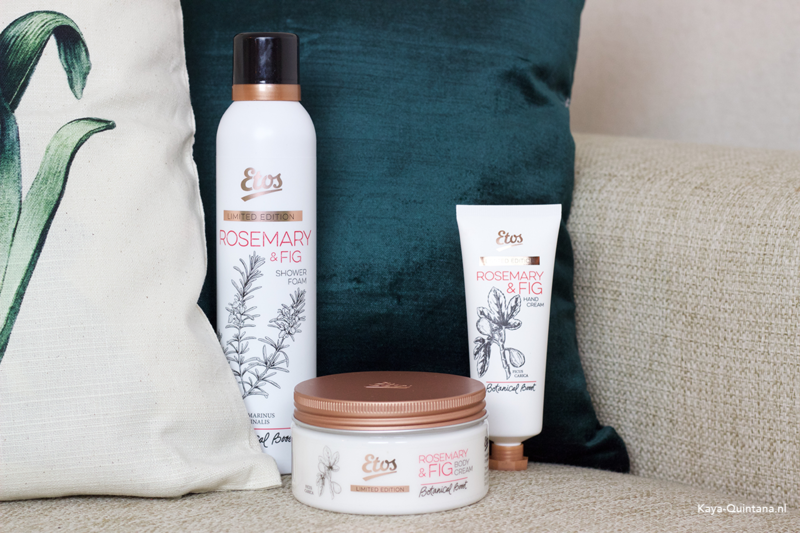 What do you think of the Etos Botanical boost Rosemary and Fig limited edition collection? P.S. Follow me on Instagram for more updates! Oh die limited edition ziet er wel heel mooi uit!